Corey Irlam is the Director, Advocacy and Government Relations for COTA Australia. Corey is primarily based in COTA Australia’s Melbourne office. Corey has been with COTA since April 2013 working in the National Aged Care Alliance’s Aged Care Reform Secretariat first as Principal Policy Officer and later as the Aged Care Reform Policy Manager. 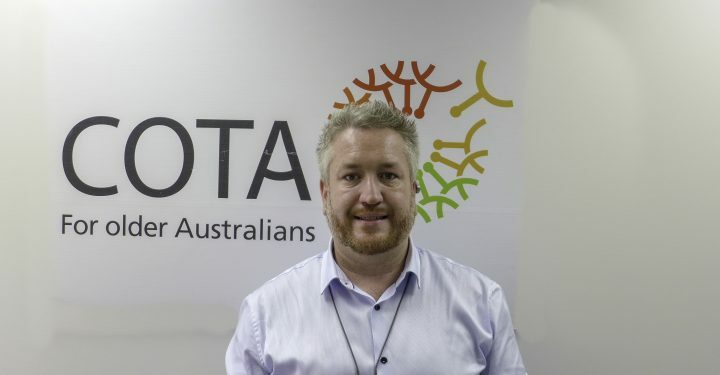 As part of this role Corey has led the development of a number of policy positions for COTA Australia and the Alliance including the development of the ‘Integrated Consumer Supports’ position and improving access to assistive technologies for older Australians. Corey has a Masters in Public Policy and a Masters in Business Administration. He has worked for a range of state and national organisations focused on improving the health and human rights of various populations. Before working in the community sector Corey worked in the corporate sector in various marketing roles including Direct Communications, Digital Marketing, Marketing Operations and Event Management.